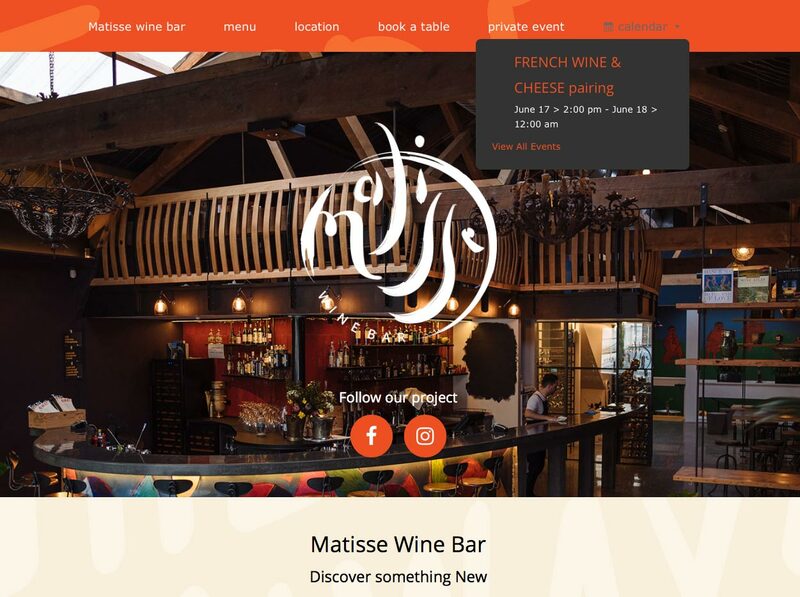 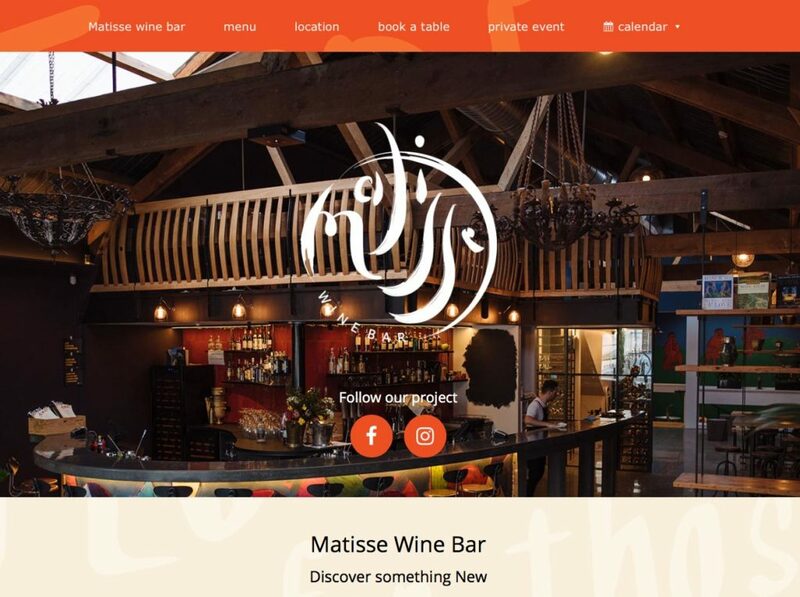 The full responsive and mobile-ready website created for Matisse Wine Bar in New Zealand as one-page website. 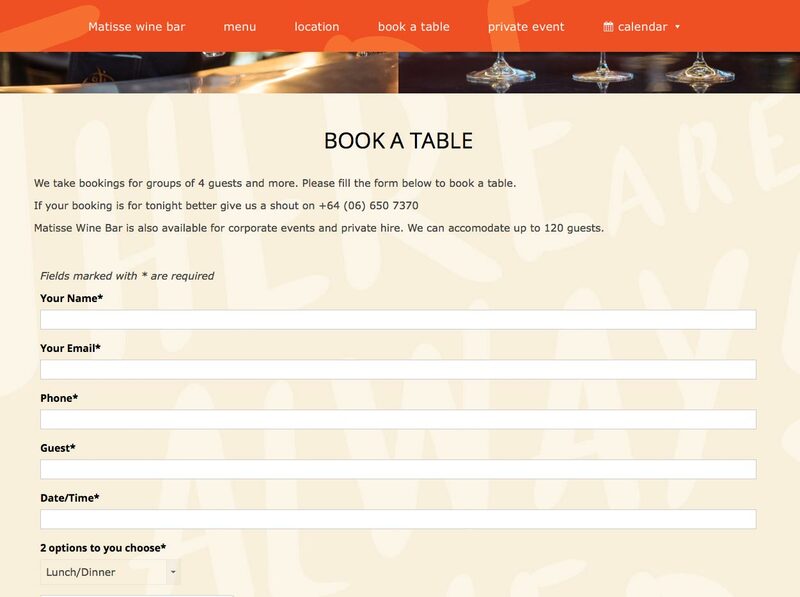 It has an online booking form and an exportable events system. 1. 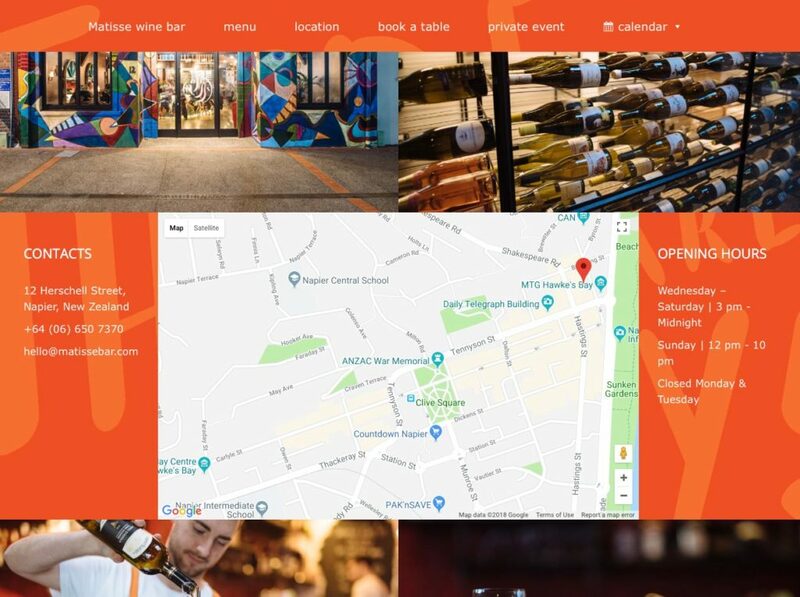 The one page website.